Carr & Day & Martin Gallop Medicated Shampoo is a deep cleaning, medicated shampoo with many uses, including the softening of mud fever scabs that is kind enough to be used on horses with sensitive skin. This Gallop Medicated Shampoo also features coat conditioners to produce noticeably softer hair and a shinier coat. 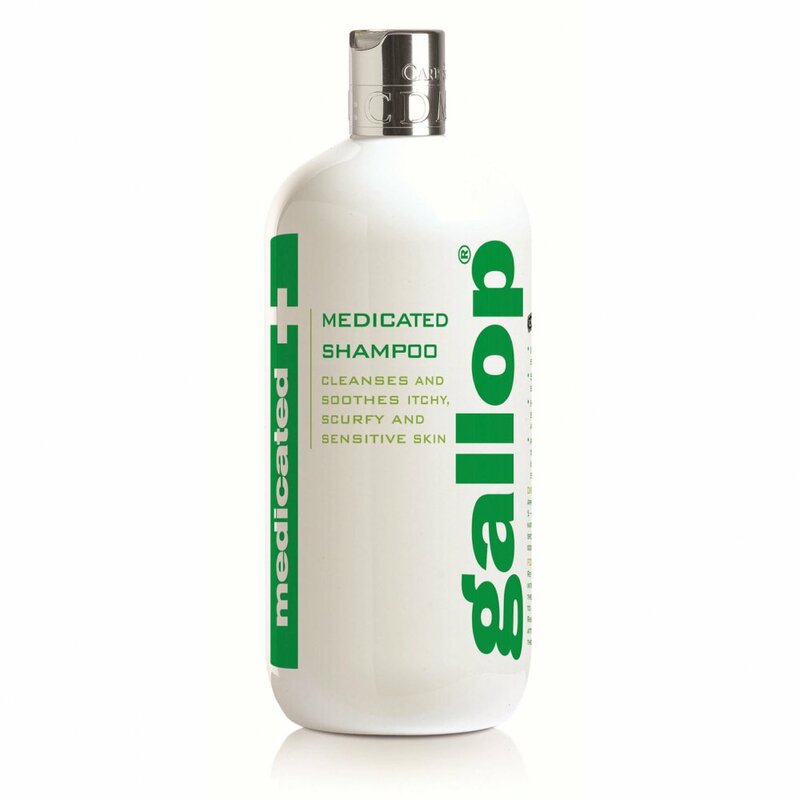 Gallop Medicated Shampoo includes anti-bacterial agents suitable for the treatment of dry, flaky and itchy skin. This horse shampoo also softens and helps to lifts scabs and persistent dandruff, it is therefore ideal for washing mud fever scabs prior to treatment. This Gallop Shampoo is completely pH neutral and therefore kind on damaged and sensitive skin and can be used to calm and soothe irritated areas of the coat. This medicated horse shampoo contains Chlorhexidine gluconate (hibiscrub), triclosan, panthenol, aloe vera, jojoba, rosemary, tea tree, origanum and pomegranate and can be applied directly to the coat as well as diluted in water. Work this shampoo in well to create a lather using either a brush or sponge and ensure to rinse well afterwards. If using this shampoo on skin conditions it is advised to leave in contact with the skin for five minutes to allo the anti-bacterial cleansing agents to act before rinsing.